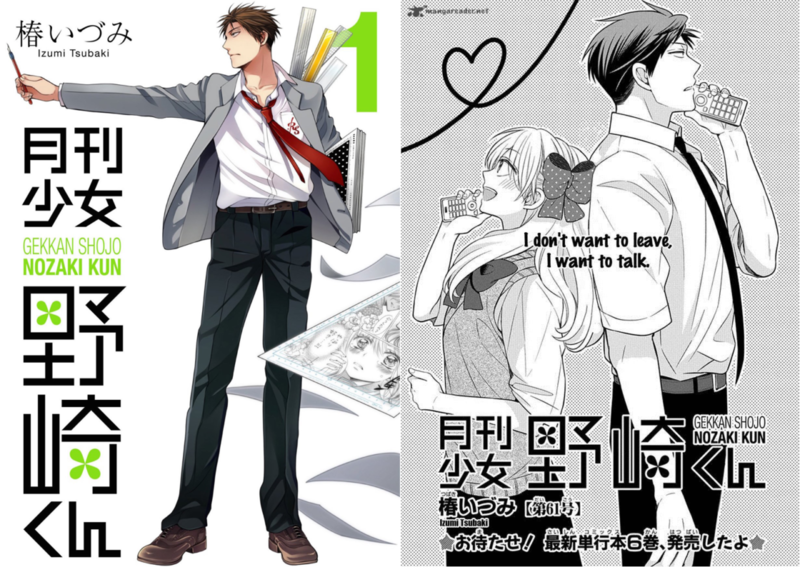 Ever since Gekkan Shoujo Nozaki-kun received an anime adaptation back in 2014, the yonkoma (four-panel) manga instantly became a huge hit, creating buzz among fans and readers about the sad development of romance between the two main characters, Nozaki Umetarou and Sakura Chiyo. And by sad, I mean almost non-existent. Chiyo has a crush on the dense Nozaki, but one thing led to another and she somehow became his inking assistant for his shojo manga. 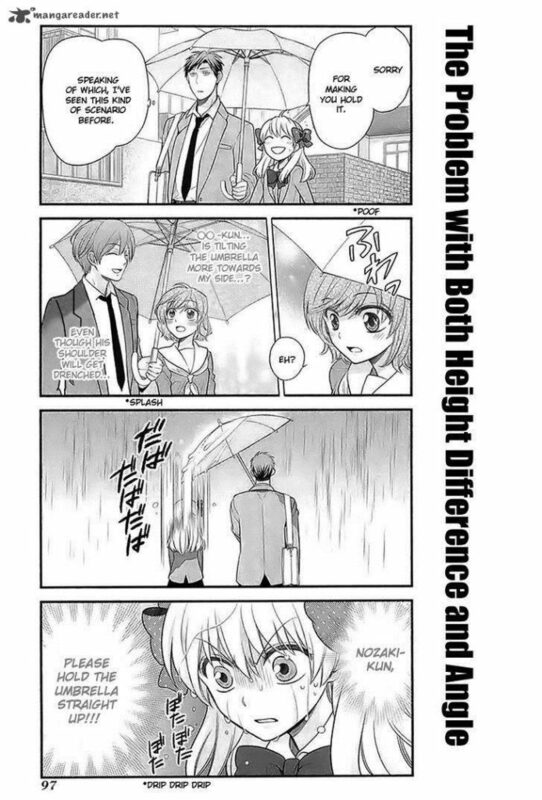 Gekkan Shoujo Nozaki-kun is the perfect stress-reliever, simply because its humour is top notch and there are practically no cliffhangers to keep you agitated (it is a yonkoma after all). Its characters are so lovable and wonderful that you would find yourself supporting them all. 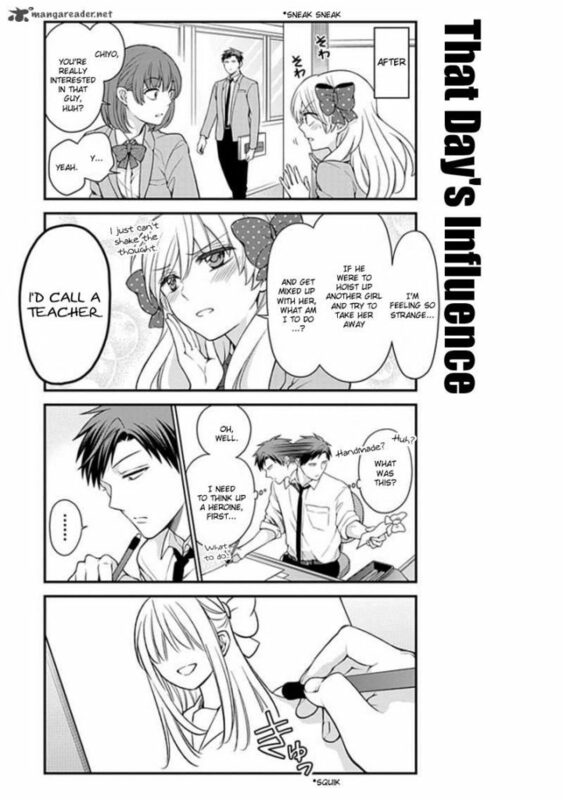 While there are many hugely popular scenes in this series, I’m going to name five of my favorite scenes from the manga centred mainly on Nozaki and Chiyo. (If I had to list all of my favorite scenes about all the characters, it would probably just be faster for you to read the manga). Ah, who could ever forget the famous lines that started it all? Instead of saying the typical “I like you” as a confession, Chiyo panicked and said she was a “fan” instead. And of course, oblivious manga artist Nozaki took it as a request for his autograph. Instead of making things clear, Chiyo somehow went to his house and started to help him ink his manga “Let’s Love~”. 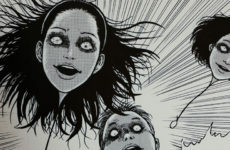 This is definitely an interesting way to start a manga, and just seeing how these two characters react to such a scene really hooks us in right from the get go. Another squeal-worthy, yet frustrating scene where we see how Chiyo first met Nozaki on their first day of school. This was the moment when she first started to like him, and it explains the origin of Mamiko’s (Nozaki’s manga heroine’s) character design. 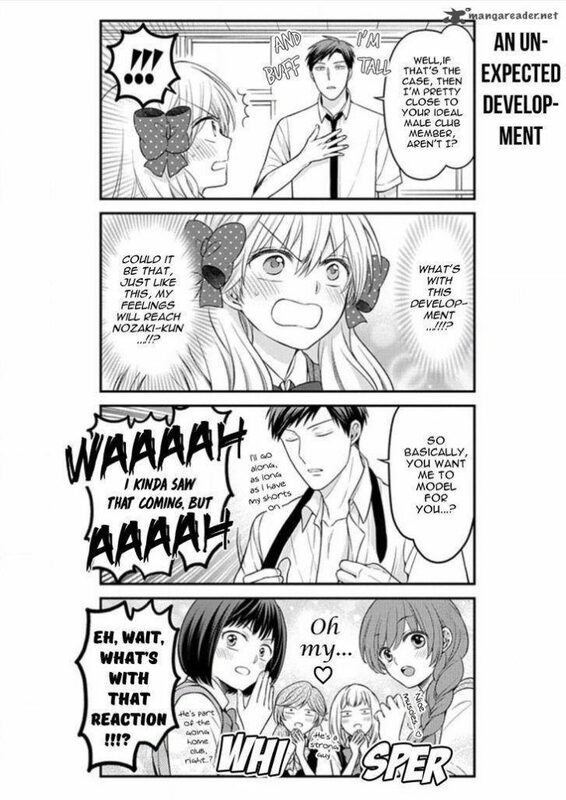 Nozaki just happened to be so sleep-deprived that he couldn’t remember he met Chiyo at all, and he doesn’t know that the ribbon that sparked Mamiko’s hairstyle was from her either. A scene that is equally famous in the anime adaptation, it seems like these two characters just can’t stop breaking the barriers of clichéd romantic scenes. 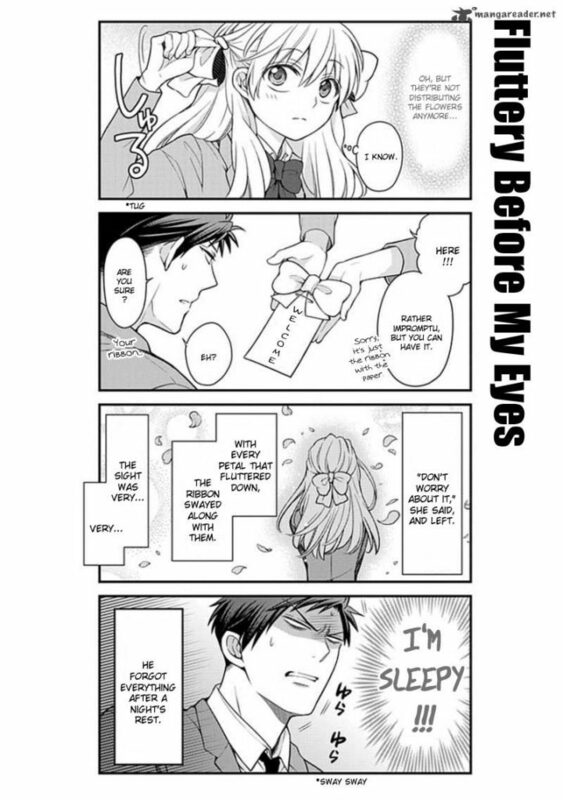 While Chiyo’s maiden heart causes her to imagine a bunch of romantic gushy scenarios in this chapter, it seems like Nozaki’s obliviousness just won’t let them fit into any of it. Poor Chiyo. These two are just absolutely adorable together. Just when you think nothing is going to happen because the mangaka has baited us too many times, she brings us another heart-fluttering moment that makes you jump. 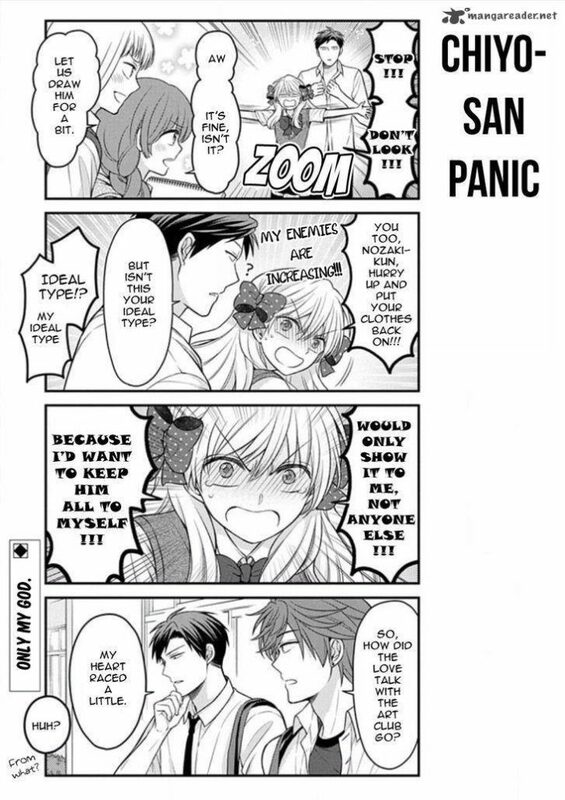 Among some of the other scenes where Chiyo gets flustered, this is the one where Nozaki makes the boldest (?) move yet. 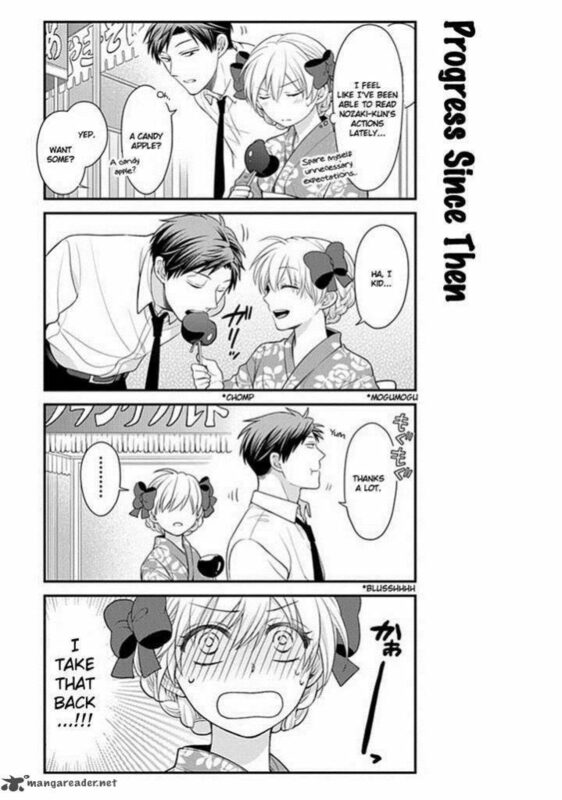 Yes, in Gekkan Shoujo Nozaki-kun, the guy taking a bite off of the girl’s candy apple is unfortunately the boldest move. It helps that this scene is titled “Progress Since Then”, so we know for sure that the mangaka is acknowledging this scene as some sort of progress between these two characters. …manages to find another way to express her feelings to Nozaki somehow. 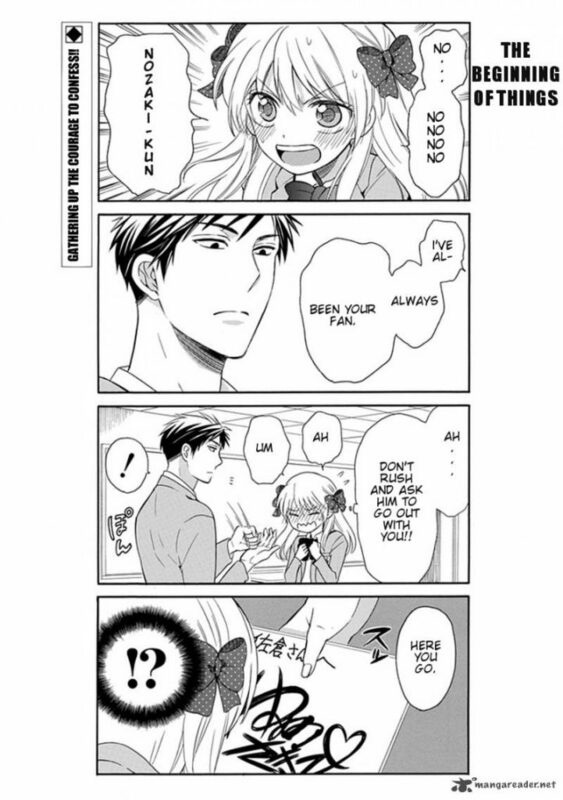 But what is really surprising, is that Nozaki actually went doki-doki (heart fluttering)! Is this a new development for the pair? 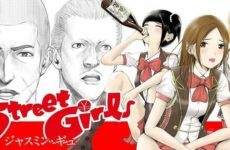 Although there is a high chance that the mangaka will play it off as nothing much in the next chapter, us readers are pretty satisfied with this unexpected turn of events. There are definitely other scenes worth mentioning, such as the famous fireworks scene which is sadly an anime-only ending, and other hilariously comedic episodes between Seo & Wakamatsu, Hori & Kashima, and Mikorin (with himself). Gekkan Shoujo Nozaki-kun does get frustrating for some readers who want there to be actual developments for the character pairings instead of just being “Fanzoned” or “Assistantzoned”. From the latest manga update, I can foresee some sort of real progress coming in soon for our beloved characters. 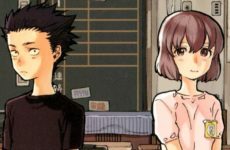 But even if there aren’t any, just reading about their interactions with one another is enough to make this one of the best mangas out there.